Participate in our Prize Draw and win an educational toy for your classroom! Teacher Appreciation week is coming up May 7-11 and it’s perfect opportunity to make teachers feel loved and value. In Miniland we want celebrate this week with a gift: a MindFul KIDS! This educational game is the most complete mindfulness experience for the classroom. 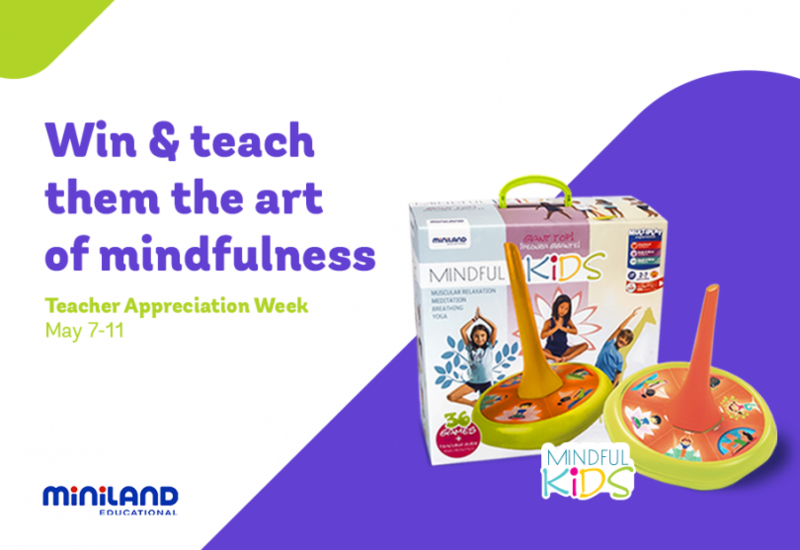 During this week all the teachers from USA are invited to participate in our prize draw and win a MindFul KIDS to your classroom. How you can participate in our prize draw? It’s easy! You only must fill this form and wait to next May 11 to check if you are the winner. Are you ready to applicate mindfulness in your class? Share with your work colleagues this prize draw and give them also the opportunity to win!